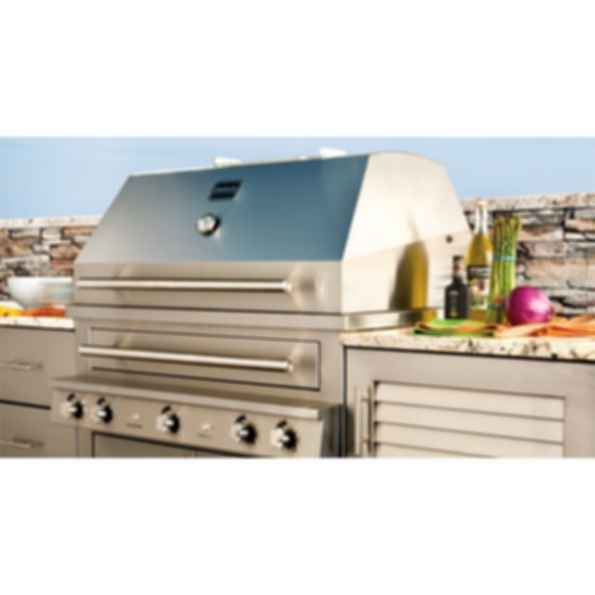 Three burner built-in Hybrid Fire Grill. Three cast brass primary burners totaling 82,500 BTUs NG or 72,750 BTUs LP. 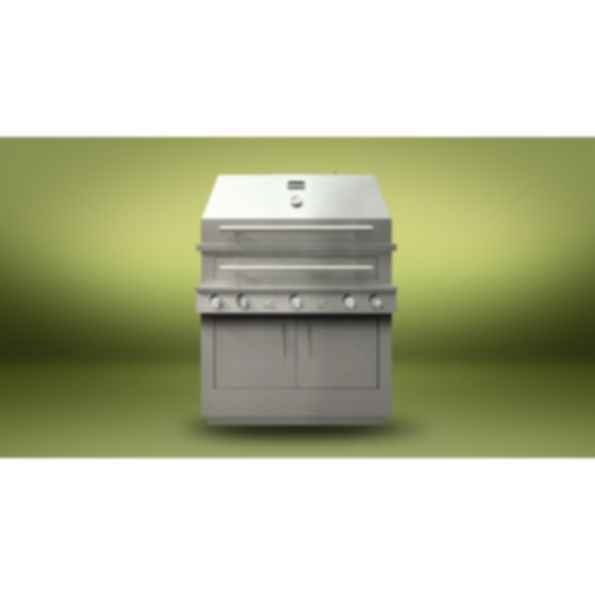 107,150 total BTUs NG or 98,100 BTUs LP.33" x 22" primary grilling surface. Ignition burner with electronic hot surface ignition. 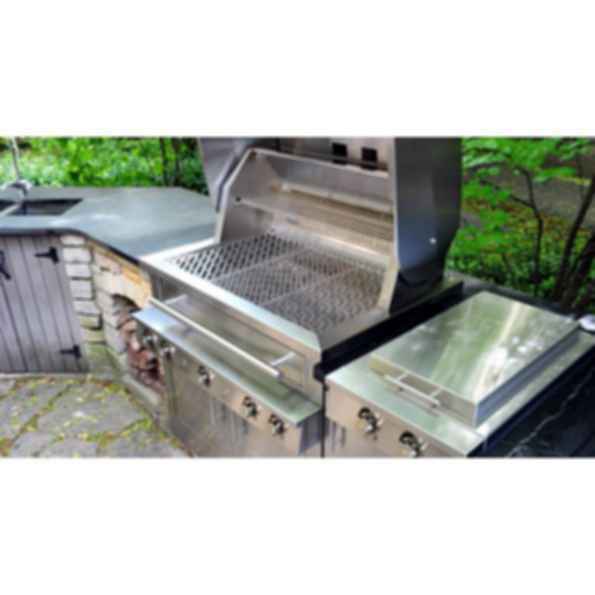 Rotisserie system with infrared burner; motor mounted in cabinet.